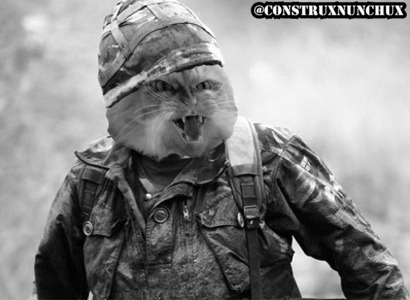 Once again we have received pictures from the Cat War. 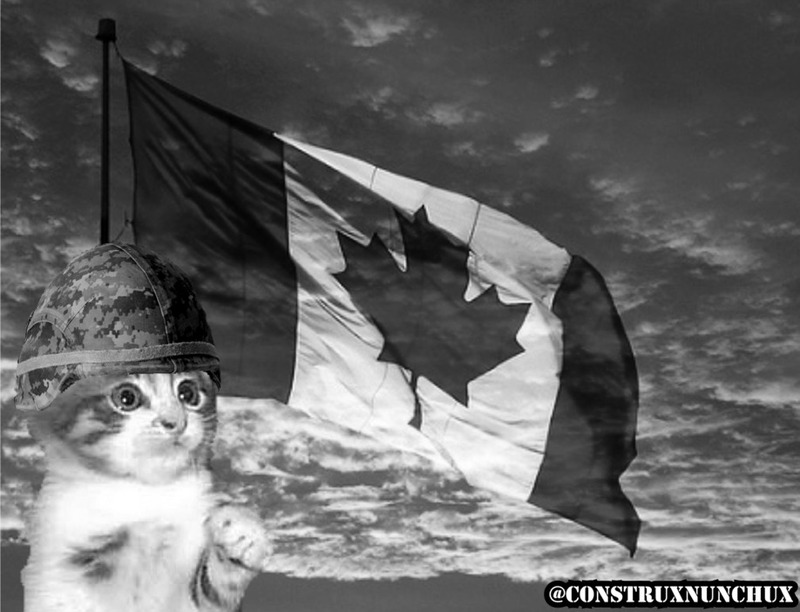 We have learned that the Canadian Cats do not have the same weaponry as the American Cats. 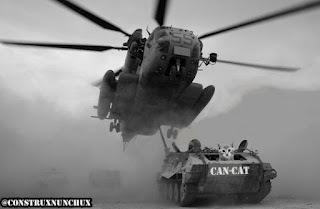 Though in this picture there is a Canadian cat operating a tank, it seems it is no match for what the Americans are using. Sadly for this ball of fury love him and his tank were blown up by the American helicopter shown in this image shortly after it was captured. Breadcrumb was 7 years old and left behind a beautiful wife and 8 kittens.. 7 of which are in the war. This is a recruitment photo that Canada is sending cats all across the country. Sources have told us that any cat who joins the Cat War for the Canadians will receive a lifetime supply of cat nip, all the yarn they can handle and the promise that their families will be taken care of while they are fighting in the war. Here is a American cat sleeping. 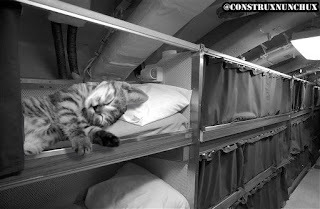 Unlike house cats, the cats in the war only are allowed to sleep for 14 hours in a day. And when they get the chance for a cat nap this is what their quarters look like. In this image we see a American cat named Wagon Wheel who is two years old. Get your nap in, who knows where you will be sent when you wake up. We will continue covering the cat war as it progresses and as soon as we have any updates we will let you know. Please pray that this terrible war ends soon, before any more kittens have to grow up without their mother or father..